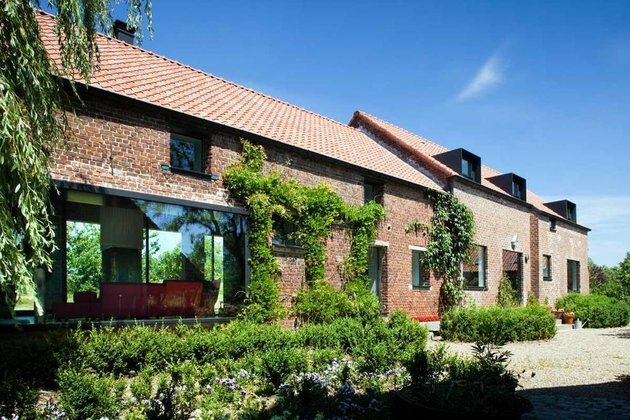 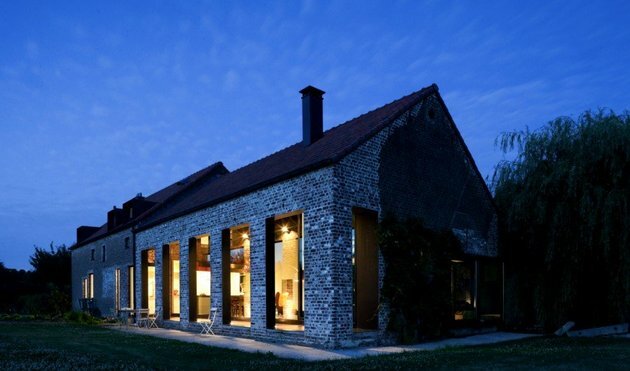 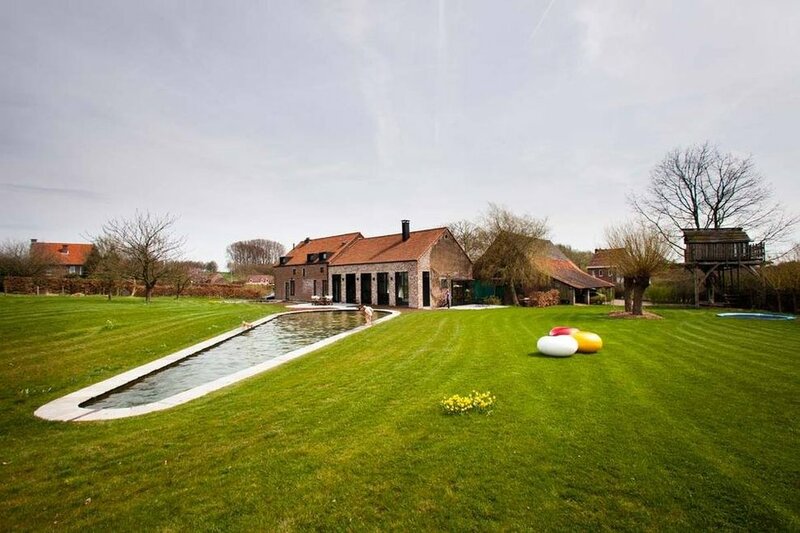 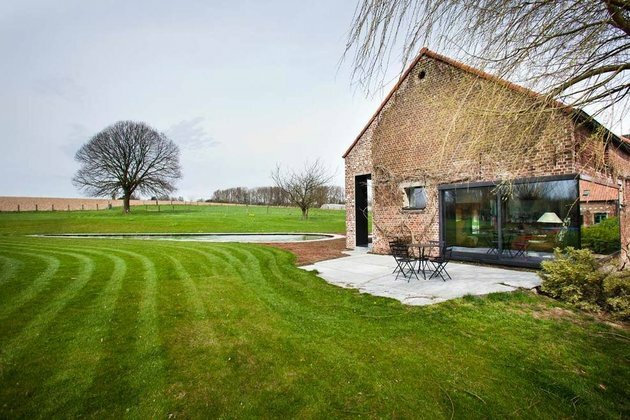 Located in an agricultural area not far from Brussels, Belgium, this typical farmhouse was converted by Studio Farris into a modern and comfortable family home. 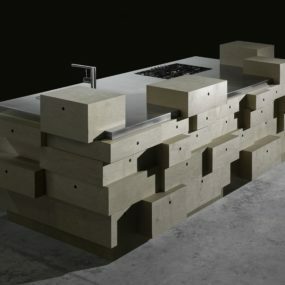 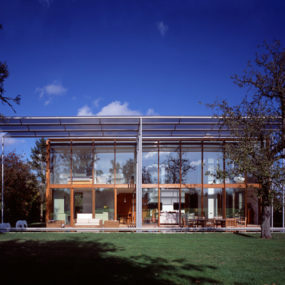 As the owners are environmentally conscious, the house features low energy consumption due to the box in box structure. The old farmhouses in this region are often characterized by randomly bricked up and opened windows and doors. 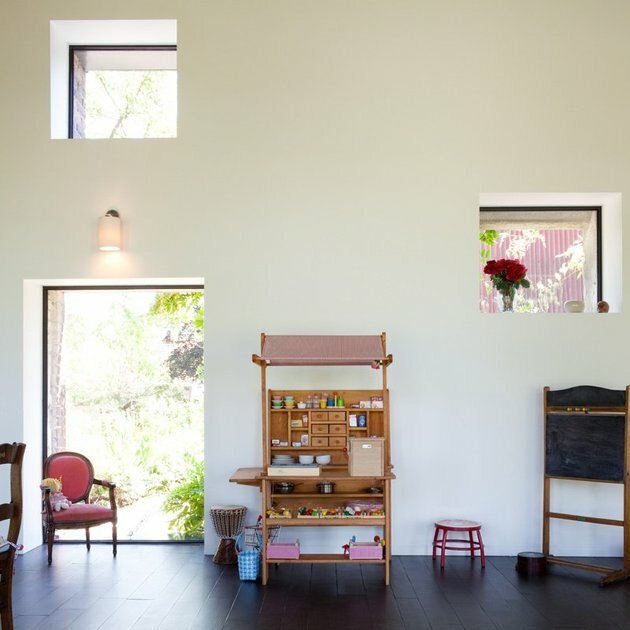 Based on this feature, the architects created a patchwork of random looking openings that bring a lot of natural light in the house. The old house was composed of two parts: the stable and the house. 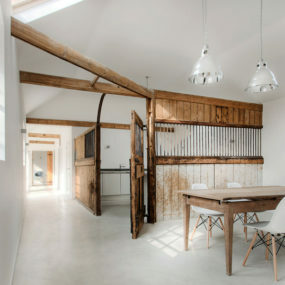 In the new configuration, the stables side was converted into the day part of the house, while the “house” contains the night part, with bedrooms and bathrooms. 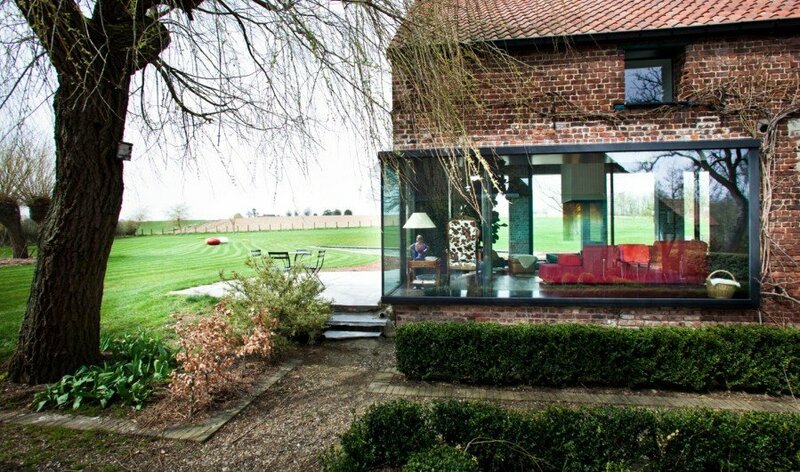 In one of the corners of the stable the architects have inserted a big angle glass facade, with one fixed side in a big metallic frame, and with sliding glass doors on the other side, which give access to the garden. The day area is a box in a box, as there is a double facade that protects the inside from too much warmth in summer and too much cold in winter. 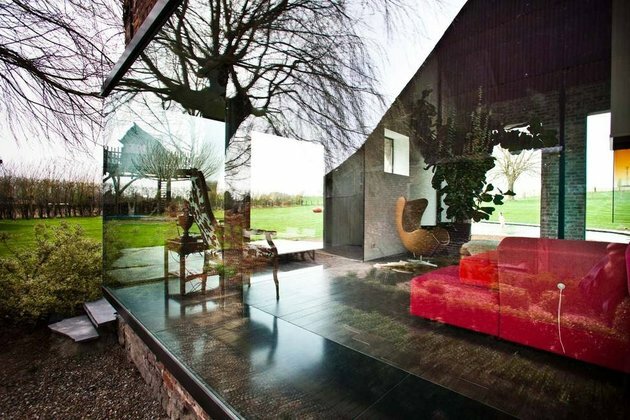 The old and the new complement each other both inside and outside. 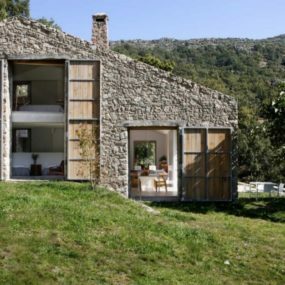 The architects have created new volumes and surfaces whenever necessary to upgrade the old structure to the modern lifestyle. 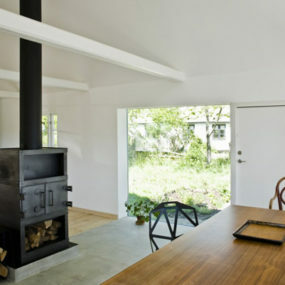 The result is a natural symbiosis between old and new. 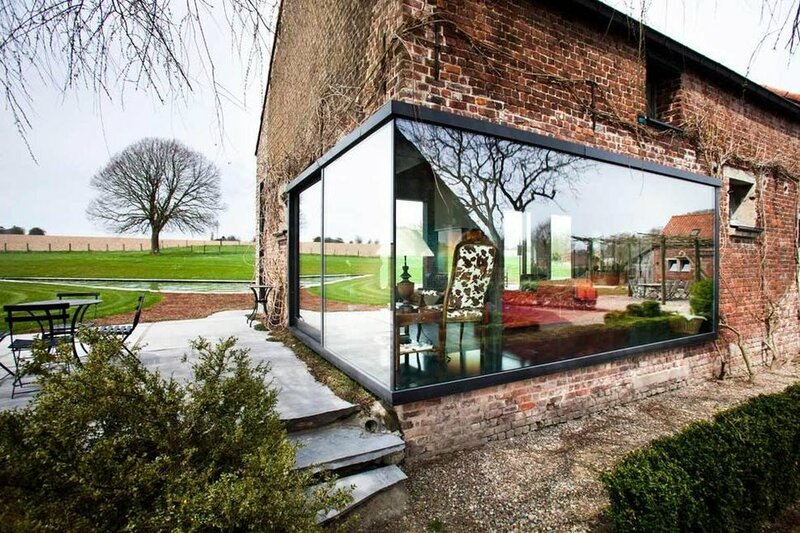 This glass half box creates great perspectives from the inside towards the outside and vice versa. 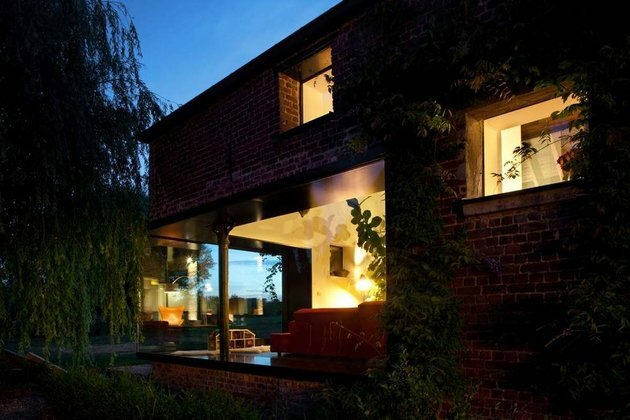 The random openings of doors and windows create a patchwork on the red brick facades. 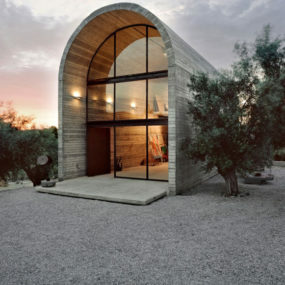 There is a buffer zone between the outside and the inside in the day part of the house, which works as a temperature regulator and is achieved by opening rectangular “arches” in the brick facade. 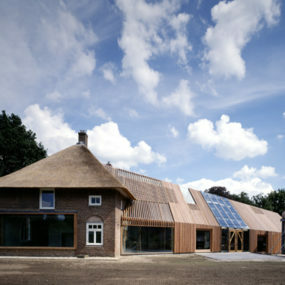 Behind this first layer there is a glass facade that closes the double height volume of the former stable. 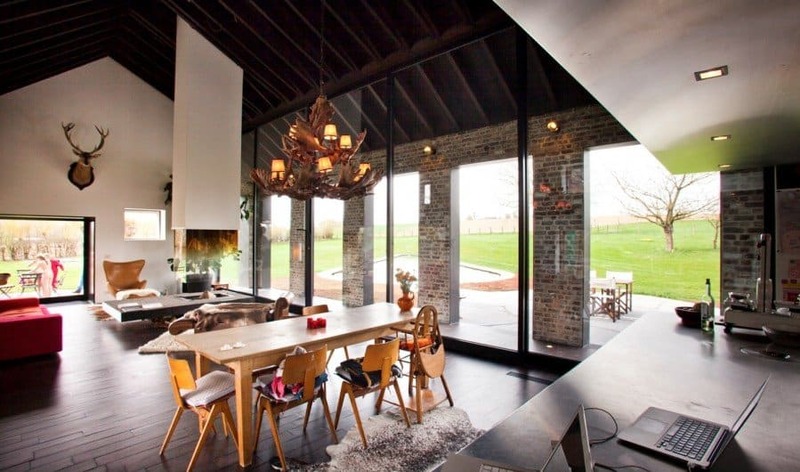 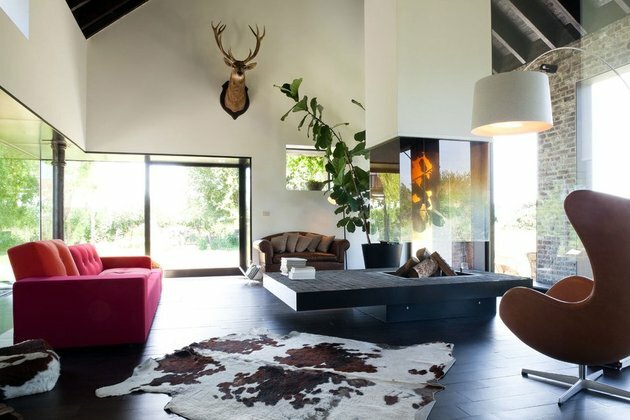 The double height of the ceiling in the day area is enhanced by the use of vertical elements such as a suspended central open fireplace that has the sitting area on one side and the dining area on the other. This part of the house is eclectically furnished with new and vintage pieces, as well as natural elements like the stag trophy on the wall and the cowhide on the floor. 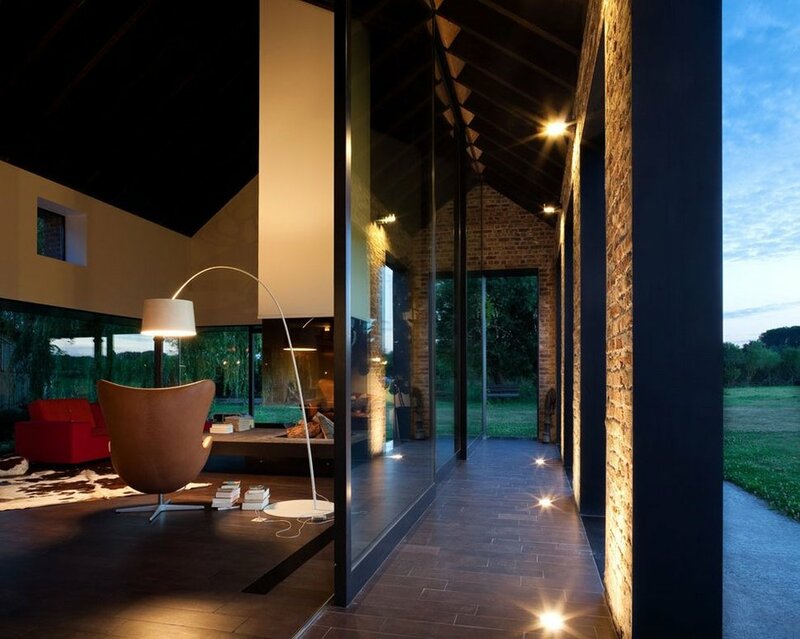 There is a nice mix in terms on lighting as well, with ultra modern Foscarini floor lamps and old chandeliers. 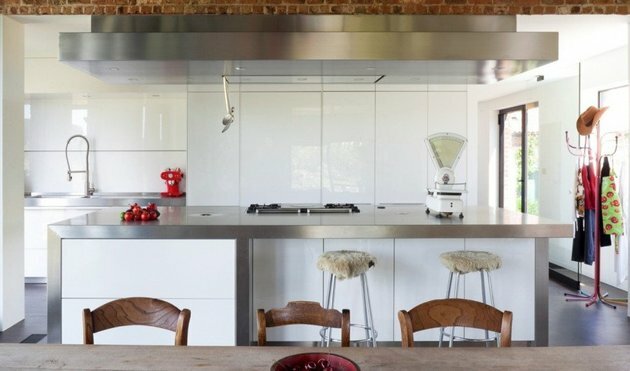 The kitchen is ultra modern and minimalistic in glossy white and stainless steel. Creativity is encouraged in the family as a big part of the day area is dedicated to arts and crafts. 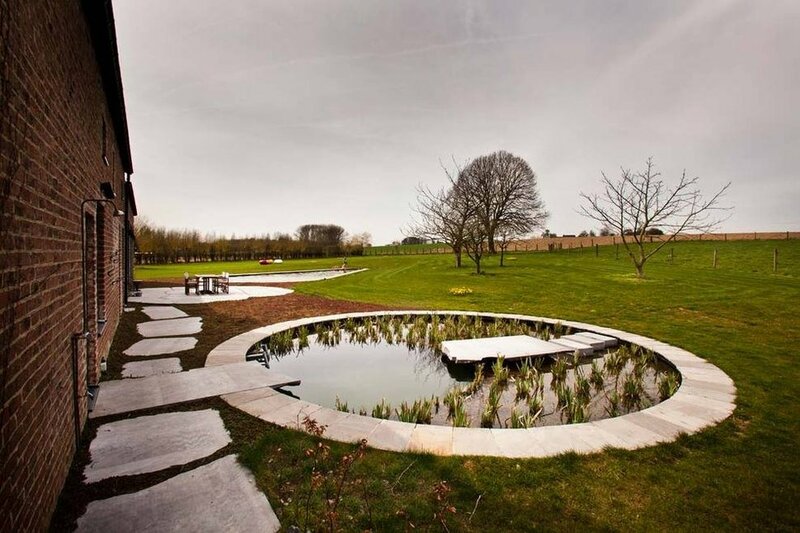 The landscaping is organic, with a round pond and a drop-shaped swimming pool.